Brig Richard Karemire said the attack followed Shared intelligence between Uganda and the DRC. File photo. Uganda Peoples Defence Forces(UPDF) have this afternoon carried out an attack on the Allied Defence Forces(ADF) stationed in eastern congo. 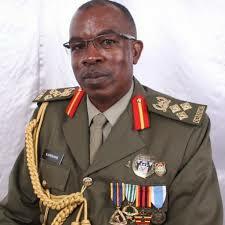 Uganda Peoples Defence Forces (UPDF) spokesperson Brig Gen. Richard Karemire said the attack followed Shared intelligence between Uganda and the DRC on the activities of the rebel outfit. Brig Karemire confirmed that the Allied Democratic Forces (ADF) terrorists who recently carried out attack on UN peacekeepers under MONUSCO, were planning to conduct hostile activities against Uganda. In a preemptive move, this afternoon UPDF conducted attacks on their camps in Eastern DRC. “ADF terrorists may only buy time but will be targeted wherever they are hiding,” Brig. Karemire added. The only Ugandan rebel outfit a killed dozens of Tanzanian United Nations peacekeepers last week and wounded hundreds others in a raid on their base in the North Kivu province of DRC. The United Nations described the raid has being the most deadliest on UN camps ever in its history. The attack comes just hours after former Forum for Democratic Change (FDC) president Dr Kizza Besigye claimed that Ugandans are now justified to take up guns and fight NRM government. Dr Besigye was addressing a press conference Friday morning, following the MPs’ approval of the age limit amendment bill.